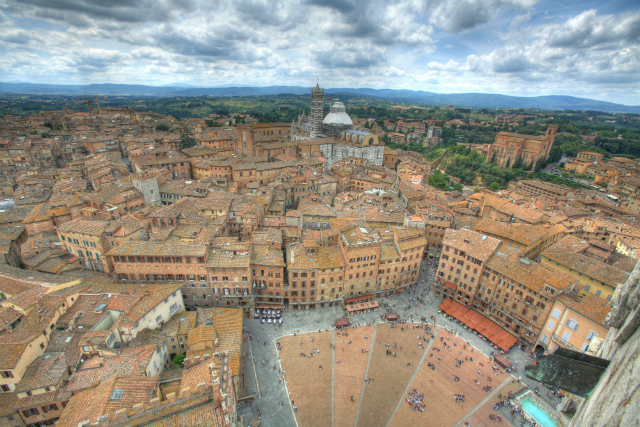 The birthplace of the Renaissance in Tuscany, the city of Florence is filled with iconic sites, architectural marvels and cultural art marvels. 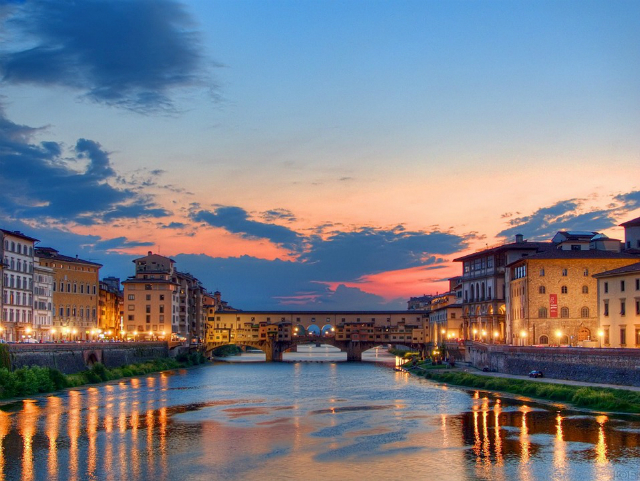 Yet, there is one bridge that will hold a special place in your heart: Ponte Vecchio. 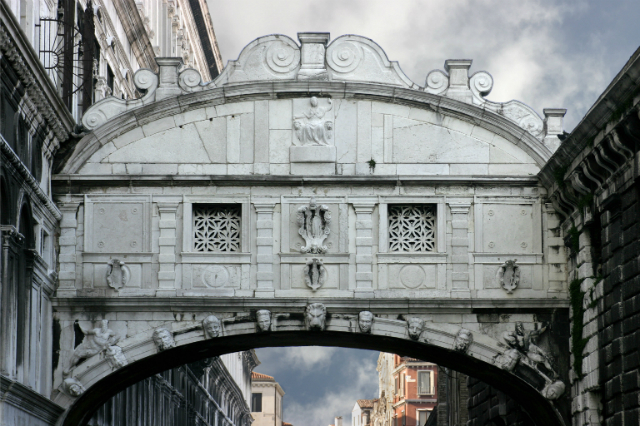 Literally meaning ‘old bridge’, it stands over the serene river Arno, and is salient enough to have inspired a mention in Puccini’s renowned opera ‘O mio bambino caro’. Up until the recent past, it was a popular location for thousands of love locks, although the municipal authorities have since removed them. Interestingly, it is the only bridge that was not bombarded by Nazis, thus it survived entirely unharmed. 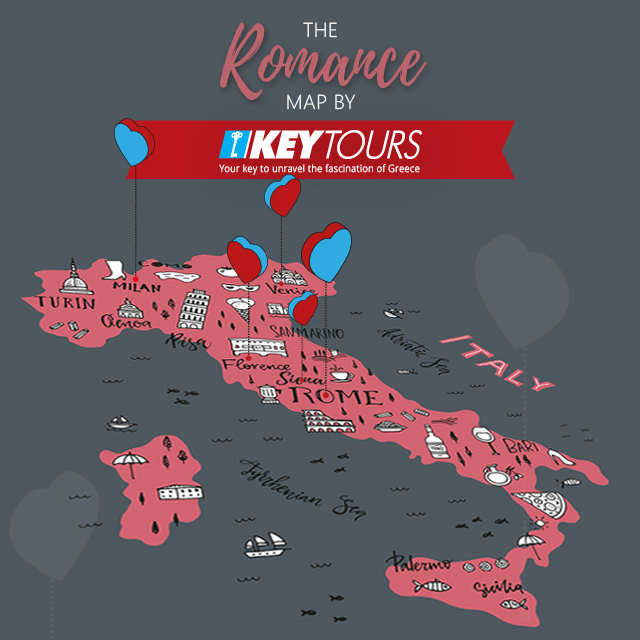 It makes it top of our list as even war could not destroy the aura of this uber-amorous location! 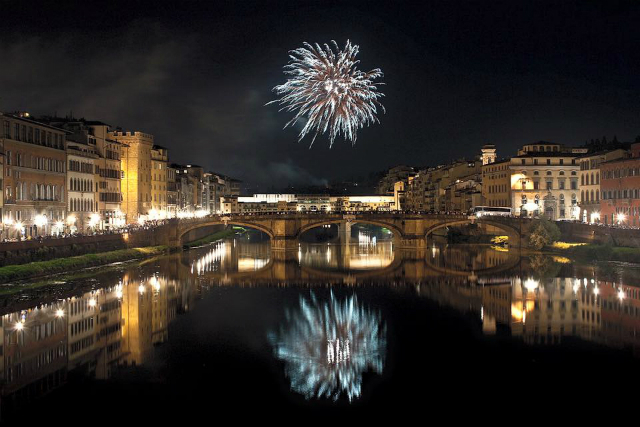 Caption: Ponte Vecchio at night, with fireworks. 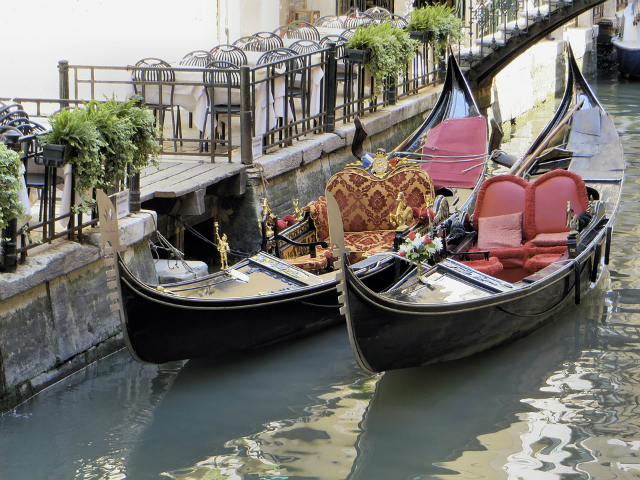 Caption: Gondolas waiting to take you on the most romantic ride! Gracing the capital city since 1762, this spectacular fountain is one of Rome’s landmarks visited from all over the world. 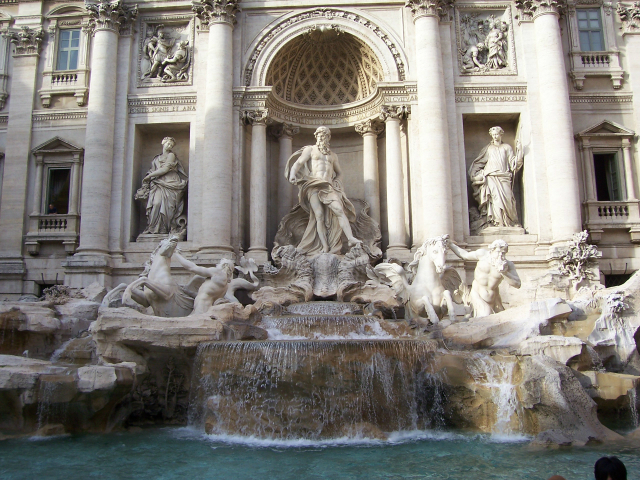 It is common to throw a coin into the Fontana di Trevi and make a wish, but according to the original ‘virgin’ legend, a coin throw ensures safe return to Rome. Lovers should not be disappointed! Do as locals do, and visit the mini fountain on the left, of the Fontana di Trevi which is also known as, the Lover’s fountain. Here the legend speaks of eternal love and devotion for the couple that drinks from that water. 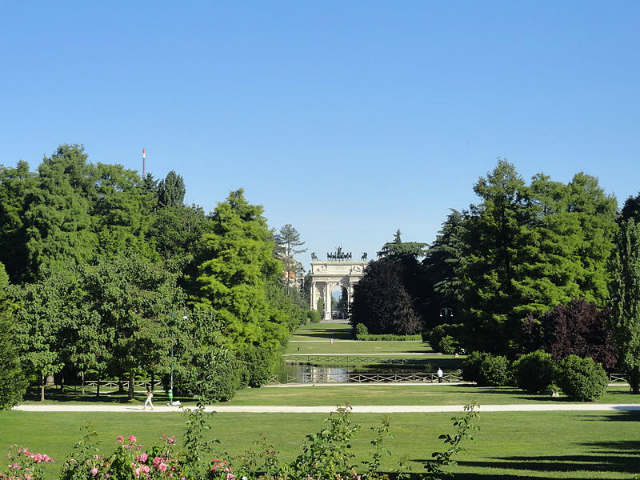 One of the most romantic things you can do is easy and simple, and it doesn’t cost much either; a picnic in the Parco Sempione in Milan. 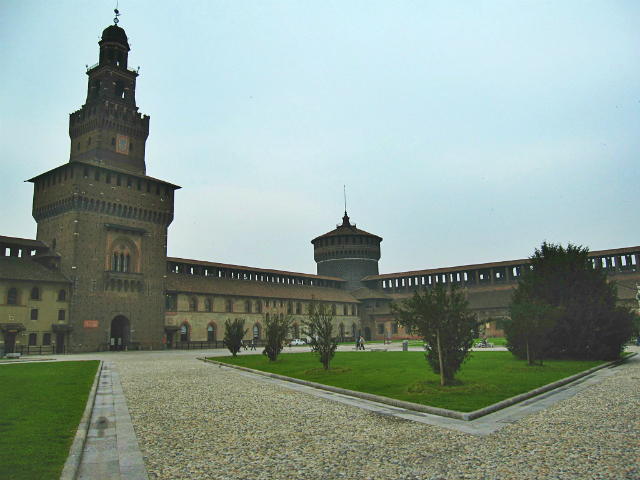 The largest park in Milan, it is next to the Sforza Castle and the Arch of Peace so you can effortlessly enjoy wide panoramic views of these two landmarks as well. 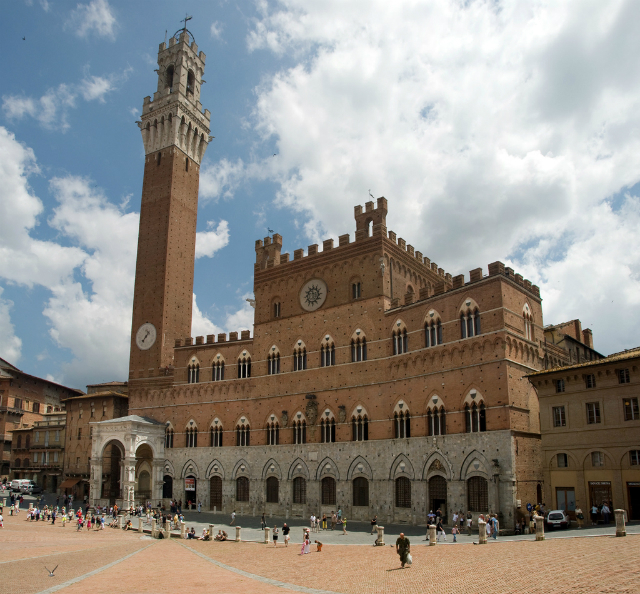 Pack a light lunch full of Italian goodness: some local cheese, prosciutto, crackers and bite-sized fruit, and a bottle of vino are all you need! Find your favourite spot by the lake and sit on the grass enjoying endless hours of laid-back leisure with your loved one. Need a break from lazy leisure? 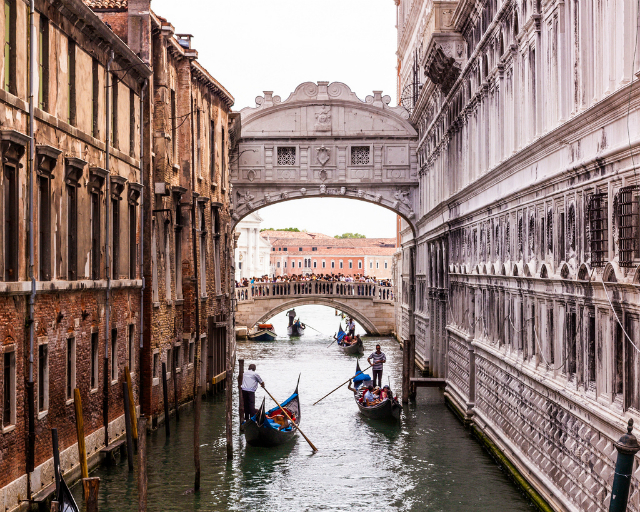 A few more points of interest in the area are the Arena Civica stadium that you can stroll around at your own pace, and the Civic Aquarium of Milan, home to an extensive collection of Italian marine life on display. 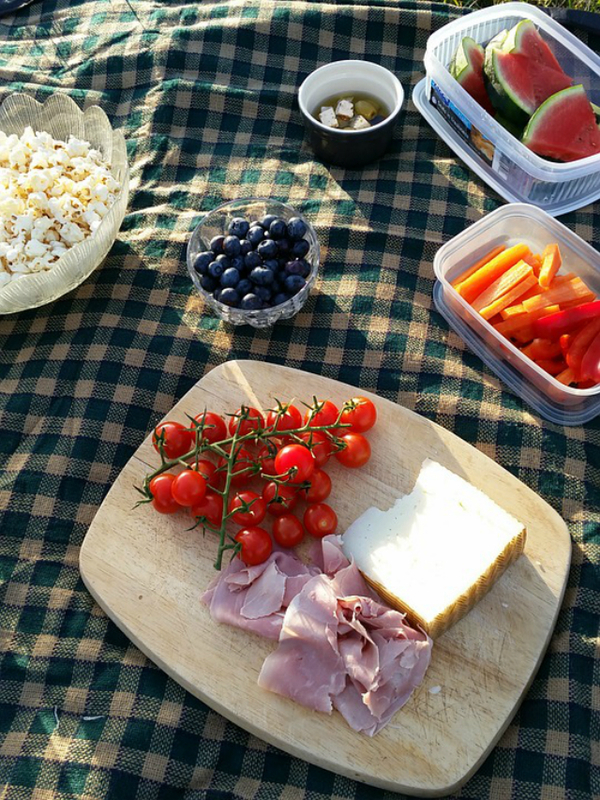 Caption: Picnic selection - Italian goodness!